Weighing in at only 2.7kg this battery is ideally suited for hillclimb and rallycross up to 1.5 litre usually combined with a grid start pack. 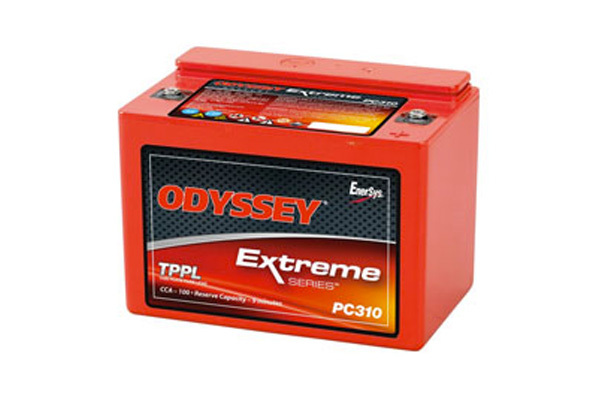 Pure Lead Maintenance free Drycell battery featuring TPT (thin plate technology) which was originally developed for military aircraft requiring very high power delivery for short durations. Exceptionally good anti-vibration properties with fast recharge capability and recovery from heavy discharge. Can be mounted upright or flat Design life of 8-10 years. Weighing in at only 2.7kg this battery is ideally suited for sprint, hillclimb and rallycross up to 1.5 litre usually combined with a grid start pack. Care needs to be taken if running a total loss system as this battery is only 8amp/hour.